Several explosions have happened at the edge of the fortified Green Zone in Baghdad, where an Arab League summit with ten heads of state is taking place. The location was apparently hit by mortar shells. The blasts happened minutes after the opening of the summit. 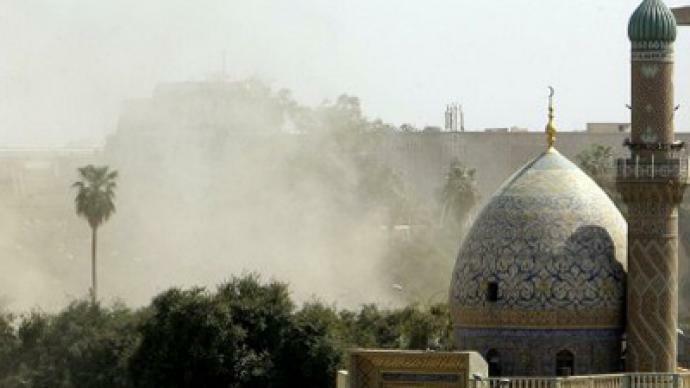 The first explosion happened near the Iranian embassy, which is one of the many governmental and diplomatic facilities located in the highly-fortified Green Zone. “The windows of the embassy have been shattered, but there are no casualties,” an Iraqi official told Reuters on condition of anonymity. 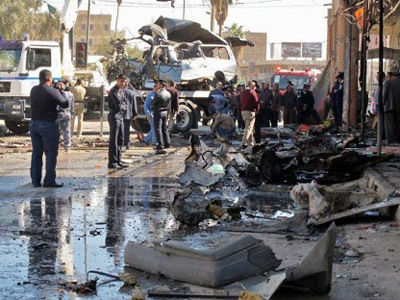 Another two rockets hit the western district of Washash and Rahmaniya in central Baghdad. The Arab Summit has opened with only 10 leaders of the 22 member states in attendance. Security at the event is so high that journalists were long kept in dark over where it would take place. 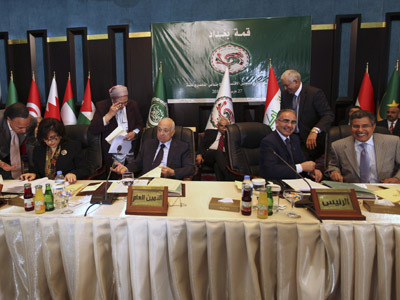 The Arab League is holding its summit on Iraqi soil for the first time in two decades, marking Iraq’s desire to take a stronger position in the Arab world. The main issue the regional leaders have discussed is the conflict in Syria, the solution to which is “still in the hands of the Syrians as a government and opposition,” according to Arab League Secretary-General Nabil Elaraby. The draft declaration calls on all the parties involved to lay down arms. 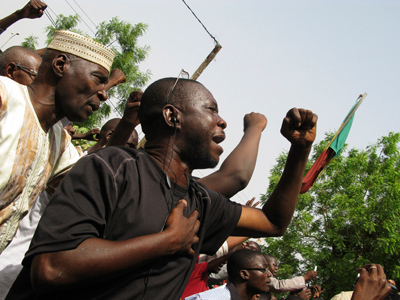 It also states the organization’s support of the peace plan sponsored by the UN’s special envoy Kofi Annan. United Nations Secretary General Ban Ki-moon has put more pressure on Assad, saying he must not only accept the six-point peace plan vocally, but also “put those commitments into immediate effect” to divert his country from a "dangerous trajectory." With more reports of violence and civilian casualties coming from Syria, the West remains somewhat skeptical about Assad’s acceptance of the peace plan. Among other issues on the agenda are the Palestinian conflict, support of countries which went through the toppling of their governments during the Arab Spring, and a reform of the League.